We woke up early, breakfasted at the hotel (if you follow me on Snapchat, you would’ve seen the huge breakfast bar), and headed out to tour the city of Edinburgh. Even at this point, I’m already in love with the place for its architecture, bustling streets, cloudy skies, green mountains, and sheep. I. love. sheep. 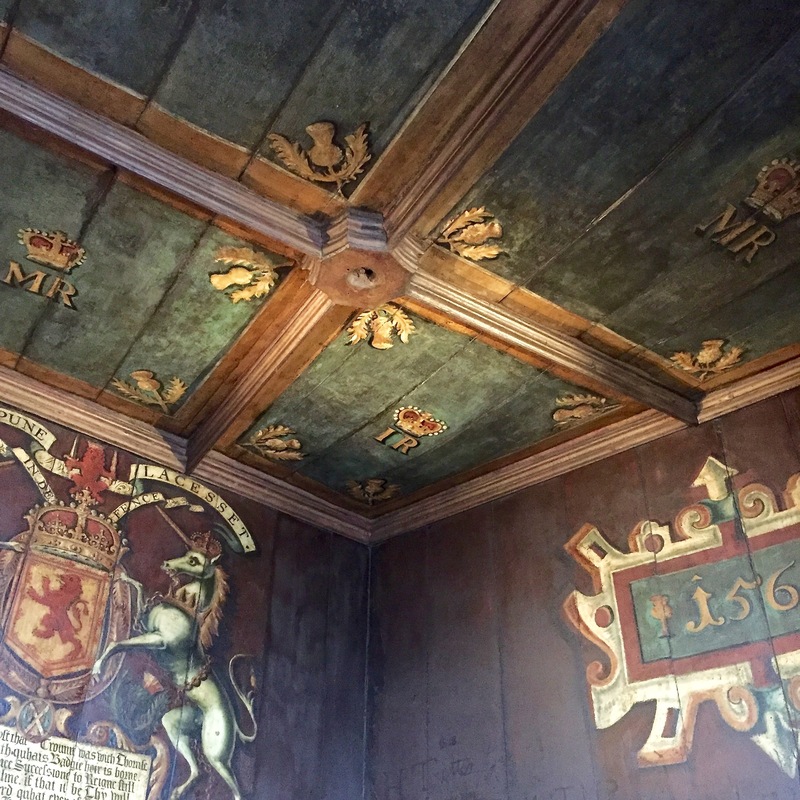 We did a lot on day one (Holyrood Palace and Edinburgh Castle, Stirling Castle, and a fancy dinner), so I’m breaking it into two posts. Our first stop of the day was Holyrood Palace (if you have a Scottish accent it sounds like you’re saying “Hollywood”). Holyrood Palace is the official residence of the British monarch in Scotland. It’s like Buckingham Palace, but in Scotland. We saw some of the Royal Guard preparing for the Royal Family’s arrival that weekend. I had two goals for my trip: pet a sheep and play a bagpipe. I accomplished one of these, and I’ll let you guess which one. Here are some people playing the bagpipes much better than I ever will. Day 1 was the last day of the trip that I wore makeup, hahaha. Oh well. Back left to right: My wonderful roommate, Elizabeth, and Marilyn. Front left to right: My mom and me, duh. From Holyrood Palace, we walked up The Royal Mile to the castle that overlooks all of Edinburgh. Europe is so cool. History in brief: There has been a royal castle on the rock since at least the reign of David I in the 12th century, and the site continued to be a royal residence until the Union of the Crowns in 1603. Yes, there are ice cream trucks in Edinburgh. And yes, it is really good ice cream. That Gothic church is St. Giles. We stumbled upon The Writers’ Museum, celebrating Robert Louis Stevenson, Robert Burns, and Sir Walter Scott. The bread they have in this country is ah-may-zing. Love the minimal design and great font. And because too many people still smoke in Europe…. Up next: Off to Stirling we go!